BALANCED WEAVE: Type L/K-17 Specification: 24-12, 20-10 24 coils of 12 swg per foot width 20 crimped cross members of 10 swg per foot length. Details: Weight: 14 kg per sq.mtr Thickness: 8 mm Maximum working tension - 1580 lbs per foot width of the felt. Application: Specifically suitable for glass annealing Lehrs. ROD:REINFORCED: Specification: 18-12, 18-12 18 coils of 12 swg per foot width 18 straight cross members of 12 swg per length. Details: Weight: 11 kg per sq.mtr Thickness: 13 mm Maximum working tension - 1300 lbs per foot width. Application: Heavy duty belt specially suitable for high temperature furnaces. CS 430 is a low-carbon plain chromium ferritic stainless steel. The steel has good corrosion resistance in mildly corrosive environments and good resistance to oxidation at elevated temperatures. In the annealed condition the steel is ductile, does not harden excessively during cold work and can be formed using a large variety of roll forming or mild stretch-bending operations, as well as the more common drawing and bending processes. The steel has limited weld-ability and should not be used in the as welded condition for dynamic or impact loaded structures. Being a ferritic material, 430 is liable to brittle fracture at sub-zero temperatures, and cannot be used in cryogenic applications. As the steel does not contain nickel or molybdenum, it is cheaper than any of the 300 series steels. Typical Applications: 430 is a simple corrosion and heat-resisting grade and finds application in areas where mildly corrosive conditions occur or where scaling resistance at moderate temperatures is required. 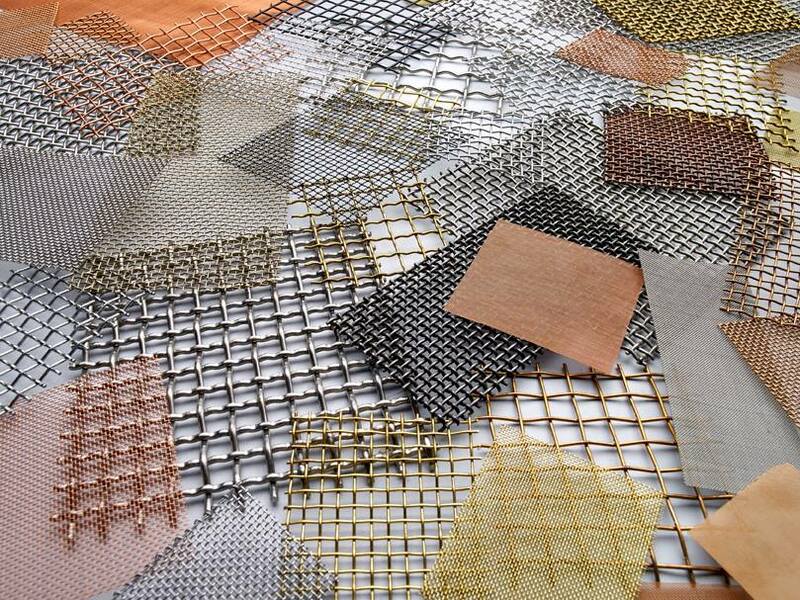 Typical applications include: Automotive trim, architectural applications such as industrial roofing and wall cladding, kitchen utensils, sinks, washing machine parts and industrial pipe and tube. Material handling equipment in the mining and sugar industry. Heat resisting applications up to 759oC. CS444 is a low carbon, dual stabilised, molybdenum containing ferritic stainless steel with good ductility, toughness and resistance to sensitisation, even in the welds. With 18% chromium and 2% molybdenum, the steel has good pitting resistance and crevice corrosion resistance, similar to CS316 and good general corrosion resistance and oxidation resistance, similar to 316 in most environments. Being a ferritic stainless steel, CS444 is not susceptible to Stress Corrosion Cracking. Annealed CS444 is ductile and can be formed using a wide range of roll forming or mild stretch bending operations as well as the more common drawing and bending operations. CS444 does not harden excessively during cold working. The steel has limited weld-ability and should not be used in the as-welded condition for dynamic or impact loaded structures. As with most ferritic stainless steels, CS444 can undergo grain growth in the heat affected zone of weld-ments, which may adversely affect the mechanical properties in these zones. Applications involving welded CS444 are thus generally limited to a thickness of 2.5mm. CS444 has good pitting resistance and is thus suitable for roofing and cladding in marine environments, as well as hot water tanks and geysers, heat exchanger tubing and food processing equipment. HARP SCREEN: Type of Harp Screen: 4) Veno Flex Harps: It consists of alternately arranged straight and crimped wires - crimped horizontally to the screen level. The straight and crimped wires form triangular screen openings. The screen wires are fixed at definite spacings by cross-bindings made of plastic bindings. The separation distances can be adapted according to requirements. Advantages of the finish form: Enlargement of the open screen area, an extension of service life and a reduction of adhesion of the screening material. In the case of the Veno Flex Harps have different vibrations arise in the screening process through the alternating crimped and straight wires. This enables clogging-free processing to a large extent, particularly in case of moist and sticky screening material. Materials used: Wire: Spring steel, stainless steel Cross Connections: highly wear-resistant plastic Application Temperature: max. 80°C Max Screen Width: 2500 mm NOTE: ONLY BULK ORDERS ENTERTAINED AS IT IS MAKE TO ORDER. ENROBER BELT: It is an effective choice for a wide variety of light duty applications in food processing, metal working, packing and plasticization machinery and in other industries also. They can be made for straight conveyors and also for curve conveyors. Enrober Belts can be equipped with little cams, or with special formed internal wire to carry the product on a special way. These are normally driven by toothed sprockets, made of stainless steel. These sprockets are made to fit the belt and are adapted to the diameter you wish. The number of teeth is free to choose and can be made for every new or existing conveyor. COMPOUND BALANCED WEAVE: Type L/K-3 in 2, 3, 4 & 5 rod services. Specificaton: 2, 3, 4 & 5 rod services 20, 18, 16 & 12 swg 36 to 140 coils per foot width according to wire diameter. Details: Weight - According to wire diameter, Thickness - 6 to 15 mm depending on wire diameter. Maximum working tension - on application Advantages: 1) Great for bakeries and snack food operation 2) Easily Customizable 3) Increased Surface Area 4) Better Product Stability 5) Carries heavier loads Application: Closely woven wire conveyor belt suitable for light, medium and heavy duties.